The business was established in 1980 in Hale, Cheshire. 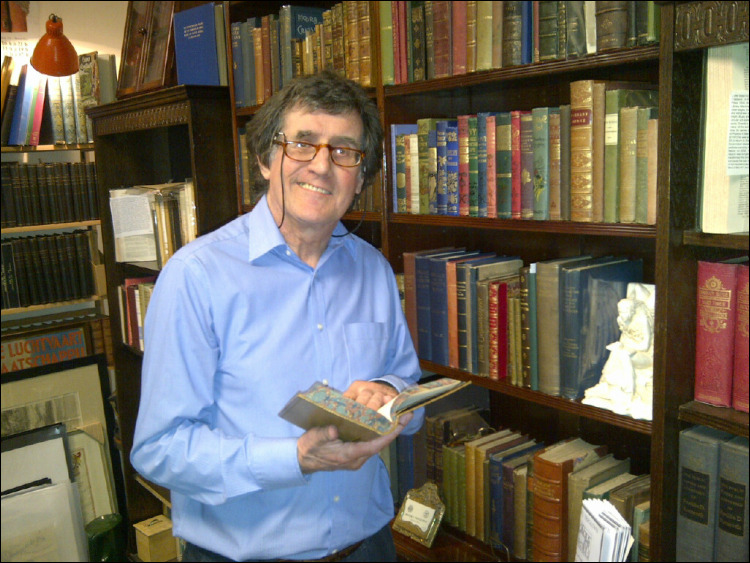 Initially specialising in chess books it soon became apparent that in order to make a living I had to sell a much broader range of material, and this was achieved by taking on an existing book shop in Cheshire. This led me to joining the Provincial Booksellers Fairs Association ( PBFA ), and eventually the Antiquarian Booksellers Association ( ABA ) in 1989. How pleasant to come across a genuinely knowledgeable bookseller on ABE! Books properly catalogued and described! And with the cachet of ABA membership.... alas, that Macclesfield seems so far from rural Lanarkshire " - " My order arrived today: if anything, the condition exceeded my expectations. What nice condition overall for a pamphlet printed 150 years ago! " - from a satisfied customer.